There’s no right way to give birth. Throw moral superiority out the window. 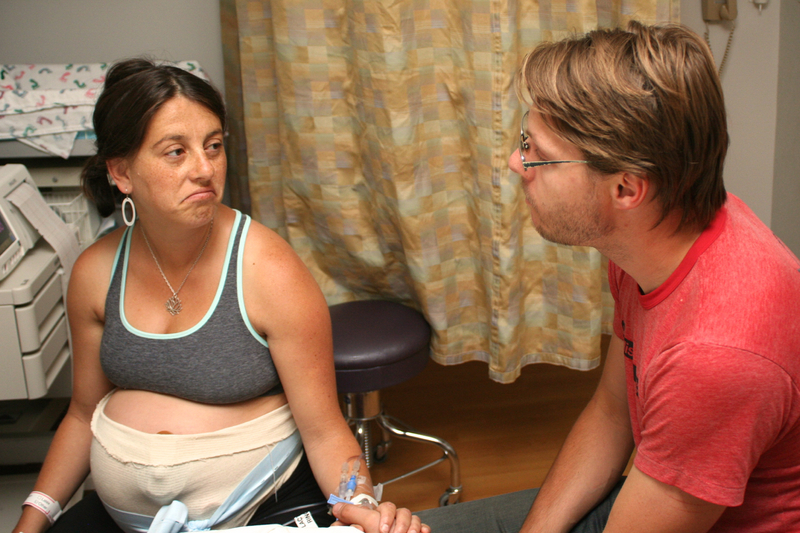 Women who have epidurals aren’t weak and women who have drug-free births aren’t strong. Every woman needs to do what feels best for her, deep down in that quiet place that knows what it wants if you get really still and listen. Here I am, getting still and listening during my labor with Jo. Or perhaps I’m just very stoned. Photo by Candace Palmerlee. How matters a lot more than what. There’s pretty much nothing I’d rather listen to than a birth story. So I’ve heard A LOT of them. And the consistent thread is this: The way a woman feels about her birth has lots to do with how things happened and much less to do with what happened. It’s easy to see birth as a binary with Drug Free Birth on the Winning side and C-Section on Losing. It’s that kind of black and white thinking that can leave women feeling less than open to options that might be helpful or necessary when the time comes. I’ve seen epidurals work wonders. I myself, hoping for a homebirth, said “I love Pitocin! 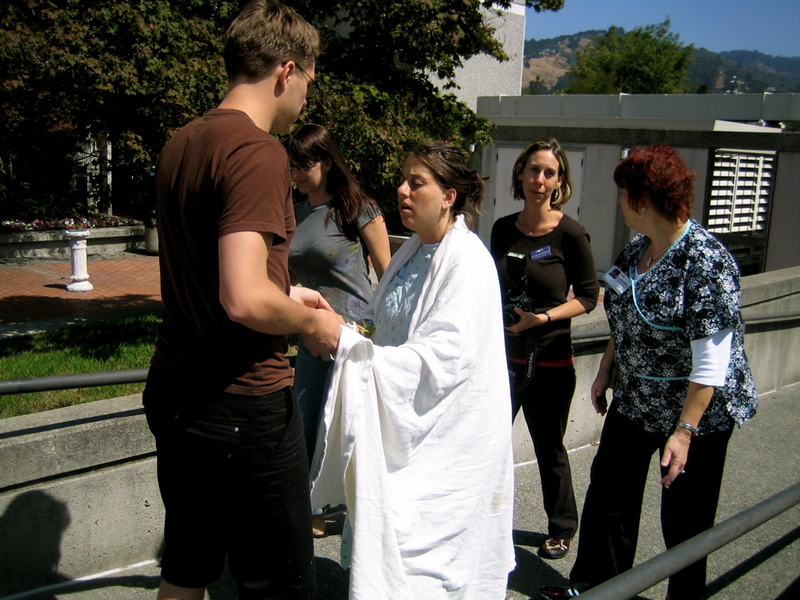 !” during my labor with Cal. Pitocin ain’t too shabby. Photo by Candace Palmerlee. It’s more about who you’re with than what you want. I always figured that the largest factor contributing to a woman having the birth she wanted was her commitment to that kind of birth. After birthing twice and working as a doula, I know that idea is complete crap. What matters more than any commitment is having a care provider at your birth who has a depth of knowledge and experience about the kind of labor and birth you want. Labor without drugs–things like how to help a you relax through your contractions, how position changes and movement can hasten your labor and delivery, and when to use certain techniques and not others. Labor with drugs–things like how to dose pitocin so it doesn’t overwhelm you with contractions but so you’re not laboring forever and what types of pain relief are most useful when. Here’s the other kicker: if you’re having your baby in a hospital with an OB or midwife, it’s most likely that you won’t see them until you start pushing. Until then, the person who is going to help you is a labor and delivery nurse who is assigned to you (or nurses if you have a long labor that spans a shift change). I was really surprised to learn this, and I decided not to put all of my eggs in my OB’s basket, since she would, at most, be attending the last few hours of my first birth. Turns out, with Jo, I pushed for less than 15 minutes. They pulled an OB out of the hallway. I still don’t know her name. But I’ll never forget the calm, constant, trusting presence of my doula, Candace and the kick in the pants that was my labor and delivery nurse, Jackie. If not for my doula and L&D nurse, I would have never taken this walk outside after nearly 25 hours of labor. But I did. And while my face here looks pained as hell, I remember it as my most transcendent experience of labor. 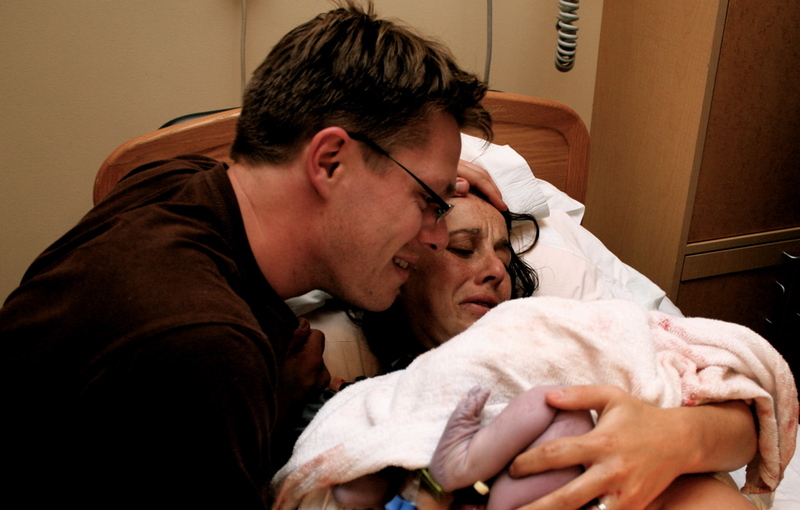 The safer and more relaxed you feel during birth the better. Trust your instincts. Go with your gut. Cause in the end, you birth with your instincts and your gut. It’s good practise, cause that’s often where you mother from too. There is no plan. While I’m a fan of “the birth plan,” I’m not a fan of calling it a plan. (“Birth hopes” maybe?) If my births and every single birth story I’ve ever heard is any indication, birth follows anything but a plan. I know it’s a bit of a downer, but I’m going to call a spade a spade: no matter how many books you read or classes you take or visualizations you do, unexpected things will happen during your labor and delivery. Things that you don’t like will happen. And while that might sound terrifying, getting comfy cozy with the practice of planning for (ha!) and adapting to uncertainty is one of the most helpful things any woman can do to prepare for her birth. How the heck do you do that? Control the things you can: read the books, take the classes, and invite the people to your labor and delivery who you trust in times of uncertainty. Then throw your hands to the sky and let go. A-effing-men. And that’s why my birth was awesome even though it was not what I envisioned. And I have YOU to thank, Honest Mom!! So so true – all of this. Reblogged this on Dont tell me, just let me be. I wish more women felt this way. Rather than support each other, we often become sancto-mommies who think they know everything. Just because one way worked for you doesn’t mean it’s the be all and end all that will work for everyone else. This trend continues (and gets even worse) during parenting. Arguments about breast feeding, co-sleeping, crying it out…it’s endless. There is no set right or wrong way and I really wish women would stop being so judgemental of other women’s choices. I personally will have to have a medically necessary c-section if we decide to have kids. I have already faced harsh criticism about this even though it was not my choice but my doctor’s. Is it the way I envision giving birth? No. But I’ve had some medical challenges and a surgery that will make it necessary to keep both me and my future baby safe. That’s all I can ask for. The fact that I’m being judged before I’m even pregnant is a bit scary and reminds me that the dialogue isn’t always open and honest for fear of criticism. I don’t even tell people anymore when the topic comes up and that means I won’t be able to help anyone with my experience when the time comes. That’s my awfully long rant to say the short sentiment of: I agree! Thank you for posting. Thank you for this! I want to disagree with you on one point: that you won’t be able to help anyone with your experience when the time comes. Since you see this all so clearly before even being pregnant, I hope that you tell your story when you feel safe and comfortable. I hope you tell it without dogma so that other women and men can hear it and remember that there is a HUGE range of birth experiences that are beautiful. Yours included.